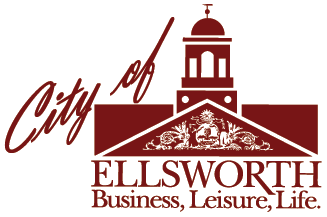 Learn about water and sewer services offered by the City of Ellsworth. To learn about connecting the Ellsworth Public Sewer System, contact the Ellsworth Wastewater Department. To request new water service, complete the New Water Service Installation Application Form. To transfer service, complete the Water Department Account Transfer Agreement Form. If you have questions about water service, contact the Ellsworth Water Department. Please note, account transfers and new service applications must be delivered by the applicant, in person, to City Hall during regular business hours with a government issued photo id.